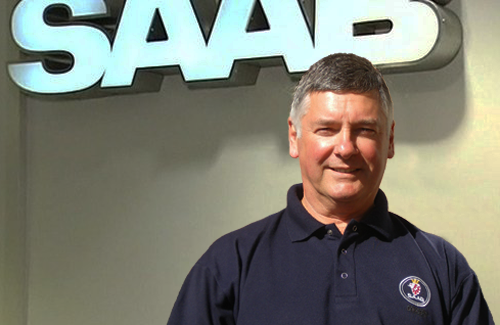 Since leaving school in 1973, I spent 32 years working at Concept Saab in Cardiff. I served a 5 year City and Guilds apprenticeship in Motor Vehicle Repair and in 1978 qualified as a Technician. In 1984 I achieved the level of Saab Master Technician and then in 1988 I became the Saab Master Technician of the year nationally. In latter 2011 I was made redundant from Concept Saab, which pushed me into doing what I had been toying with for many years and formed my own company Cardiff Saab Specialist. I have always worked passionately with Saabs and now being my own boss has put the icing on the cake. I pride myself with giving an excellent standard of customer care and a quality service. Every customer is treated individually and with the greatest of respect. As being in the motor trade for as long as I have, I understand that the best way for my company to grow is by returning and word of mouth business. So every customer is important to me and appreciated. The Ursaab was a prototype and a unique automobile, first produced in 1947. "Ur" in Swedish is translated as "original" thus making "Original Saab". The 900 was a 2, 3, 4 or 5 door hatchback (Combi Coupé) the GL with 100hp single carb engine and the GLS with 108hp twin-carb set up, the fuel injected EMS delivering 118hp same as the GLE and the flagship 900 Turbo with 145hp turbocharged two-litre in-line slant four.